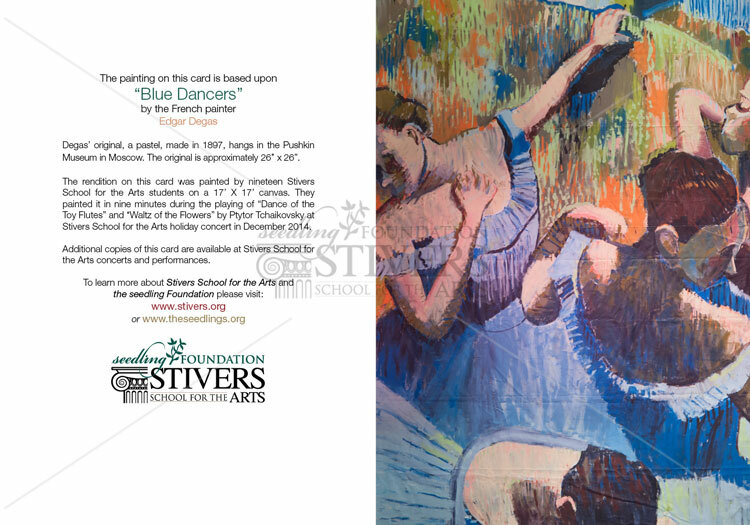 Set of 5 greeting cards featuring artwork from Stivers students. 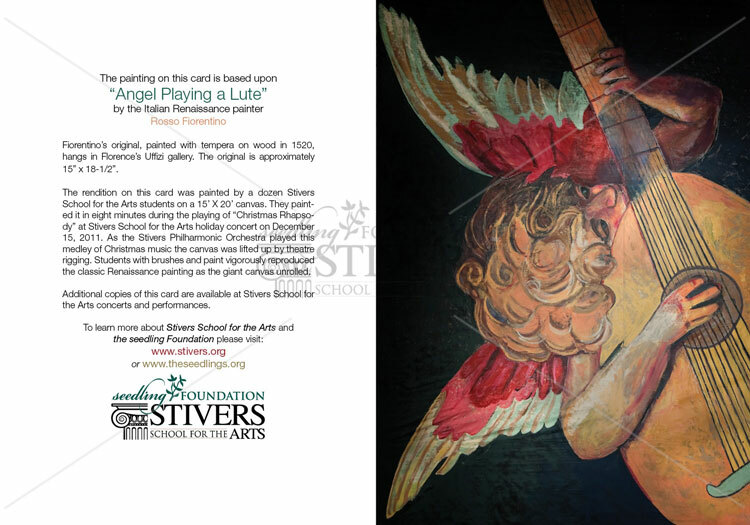 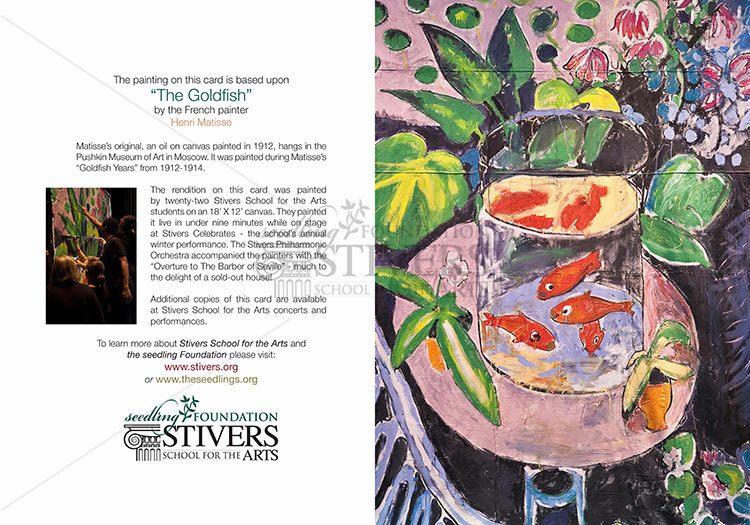 Support Stivers School for the Arts and spread the word while you’re doing it. 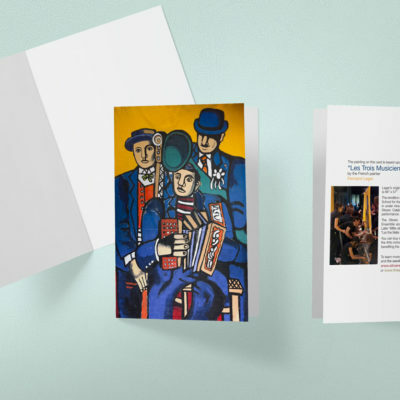 This pack of five greeting cards includes five unique renditions of classic paintings made entirely by students of Stivers. 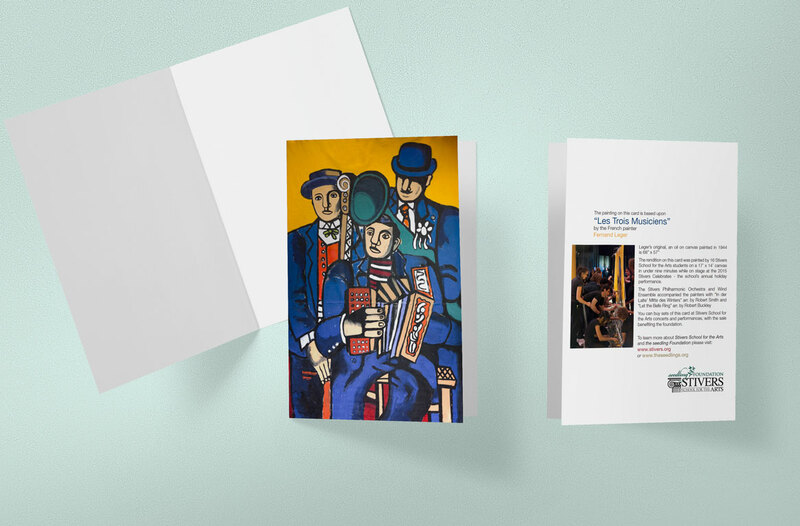 The inside is left completely blank, making it perfect for any occasion. 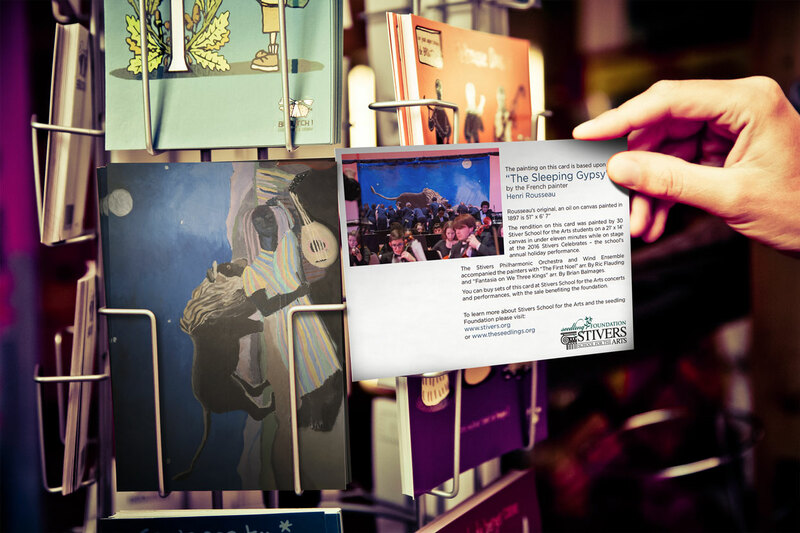 Shipping is $3 via USPS media mail.